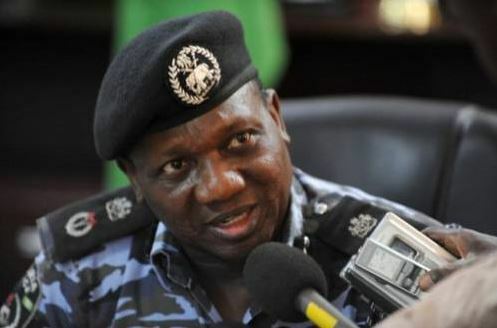 The Inspector General of Police (IG), Ibrahim Idris, has assured Nigerians that the police are currently working towards credible elections in 2019. Speaking at the Summit on Election Security Management for the North-east in Maiduguri, Idris who was represented by the Assistant Inspector General (AIG) in charge of Federal Operations, Rasheed Akintunde, said the Force is preparing the minds of the people to support it, the Independent National Electoral Commission (INEC) and other security agencies to ensure credible elections. He said: â€œWe (the police) are equally preparing the minds of politicians that elections should not be do or die affairs. Also speaking at the summit organised by the Nigerian Policing Programme (NPP) in partnership with the Nigeria Police Force, Maiduguri which had in attendance, among others, the Operation Lafiya Dole Theatre Commander, party chairmen, the Chairman of the Governorship Aspirantsâ€™ Forum, Commandant of the Nigerian Civil Defence Corps of Borno, Yobe and Adamawa States, Commandants of DSS and Prison Services, the representative of the IG said the summit was aimed at improving the Nigerian Police Forceâ€™s contribution to the delivery of safety and security for Nigerians in a target states. He said it aimed at strengthening the internal and external accountability mechanisms, and improving coherence for security provision among and between formal and informal security actors. The Acting Head of Service, Borno State Civil Service, Alhaji Mahdi Gazali, who represented Governor Kashim Shettima, while declaring the summit opened, said the state has experienced a lot of challenges as a result insurgency. Shettima said the people are wiser to know what violence brings and would not engage themselves in any form of politically-motivated or related violence before or even after the forthcoming elections . He reminded the people that the primary responsibility of the government is to guarantee safety and the security of lives and property. The governor commended the patriotism, efforts and the goodwill of the leadership and entire members of Nigeria Policing Programme (NPP) in organising the programme. On his part, the Borno State Police Commissioner, Damian Chukwu, urged for collaboration and synergy for the conduct of free, fair, safe and credible elections in Nigeria.